If you're in London and a huge fan of Harry Potter, tonight is the night you've been waiting for. 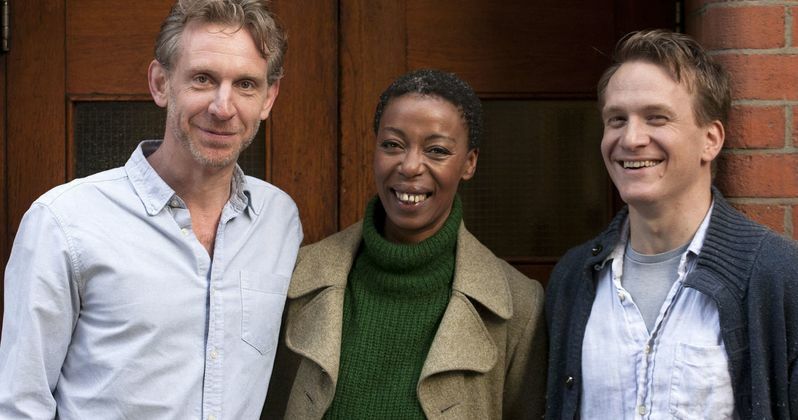 The very first preview performance of the highly-anticipated stage play Harry Potter and the Cursed Child debuted. The play won't officially open until July 30, but fans have been eagerly awaiting the eighth official story in the Harry Potter canon. Tonight we have the first early reactions, and, thankfully, they heeded J.K. Rowling's spoiler warning. Earlier today, J.K. Rowling posted a YouTube video where she plead with fans to keep the secrets that will be unveiled in this story. Of course, we likely won't know for quite some time what these secrets are, but it seems that the fans are keeping true to their word, posting a number of glowing reactions on Twitter that doesn't spoil anything for those who weren't at tonight's debut performance. With previews slated to run nearly two months before the official premiere, we'll have to wait and see if fans will continue to prevent spoilers from getting out on the Internet. The rest of the cast includes Nicola Alexis, Helen Aluko, Jeremy Ang Jones, Rosemary Annabella, Annabel Baldwin, Jack Bennett, Paul Bentall, Anthony Boyle, Zoe Brough, Sam Clemmett, Morag Cross, Cristina Fray, Rudi Goodman, Claudia Grant, James Howard, Christiana Hutchings, Lowri James, Chris Jarman, Martin Johnston, Bili Keogh, Chipo Kureya, James Le Lacheur, Helena Lymbery, Tom Mackley, Barry McCarthy, Sandy McDade, Andrew McDonald, Adam McNamara, Poppy Miller, Tom Milligan, Jack North, Alex Price, Stuart Ramsay, Nuno Silva, Cherrelle Skeete, Esther Smith, Nathaniel Smith, Dylan Standen and Joshua Wyatt. Among these names are seven child actors who will alternate between roles. Take a look at these spoiler-free reactions and photos from the first preview performance for Harry Potter and the Cursed Child, and stay tuned for more on this highly-anticipated stage play. The Cursed Child Part 1 is 2 hours, 30 minutes without intermission. Inside the theater for it now! #HarryPotter#CursedChild 1st preview blooper! No spoilers, but... An owl just got loose in the theatre. 😆 Intermission owl hunt backstage! Spine [email protected] #CursedChild !To be continued in part 2. Can’t offer overall thoughts on Cursed Child until I see the second half (Thursday). Too much plot hanging in the balance to judge it yet!